The luxury real estate industry demands perfection. Attention to the finest detail. A reputation for being the best of the best. When we started our search for the top properties and icons of real estate, we came upon The Stanley House (see page 54). Digging deeper, we discovered a team that would remain buzzing in our sphere until this interview. 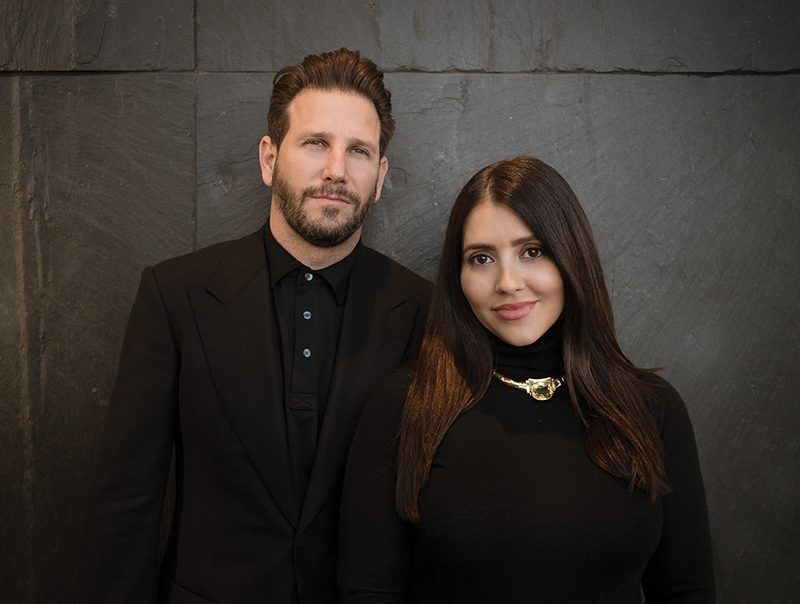 Get to know Branden and Rayni Williams, true icons of Los Angeles real estate. Q: Talk to us about the early days in your real estate career. What made you interested in the real estate business, and how did you get started? BW: What originally got me interested in real estate was when my buddy, who is a realtor, sold a home and showed me a check for $70,000. At the time, that was an enormous amount of money and I had never seen a check for that much money so that’s what piqued my initial interest. When I first got started, I thought I would never sell anything more than a condo or property over $1 million. I soon realized I was actually good at it and, in my first year alone, I sold $25,000,000 worth of real estate, which was a massive number for a realtor just starting out. I had no real connections, didn’t come from family money and did this all on my own. I worked 24/7, looked at every single property and learned everything I could about real estate along the way. Choosing real estate in Los Angeles was pretty easy because I think it’s one of the greatest cities in the world with the best weather. Today, I’m still learning and working 24/7. To me, real estate is more than just being a realtor. I think of myself as a detective or an investigator trying to put the pieces of the puzzle together for my clients. There’s so much more than just finding a home and there are so many intricate details to closing deals. 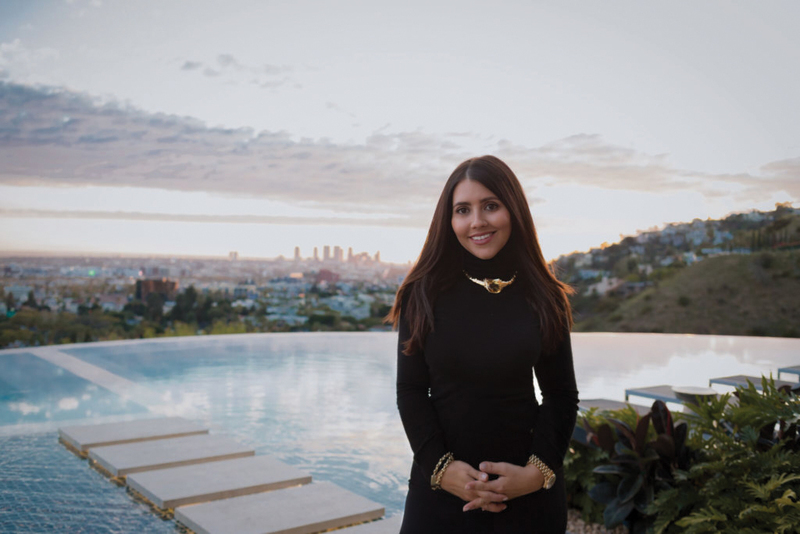 To be at the top of LA’s real estate market, you have to foresee the future of real estate and always be ten steps ahead of your competitors, buyers and sellers, and most importantly, work from your gut instinct. RW: I come from a real estate family as my grandfather, who was an Italian immigrant, came to America with the only trade of being a bricklayer. He parlayed that into becoming a very successful developer, which then became a family business for my uncles. As a child, real estate was second nature to me, but as a young adult, it was the last thing I wanted to do. Straight out of college, I moved to Los Angeles and after freelancing in journalism for a few years, I decided to get into lending. This was the perfect segway to my reluctant career in real estate. Having had the background in lending, it was very helpful in advising my clients with their home purchases. I started in the business in 2006 and had been in the business four months when Branden joined the same firm. Within six months, we started working together as partners and it was the yin and the yang that made us successful. Working together, we were showing properties seven days a week, 24-hours a day and, during our first five years, we didn’t take one vacation! We became experts in our field by learning the inventory, studying the history of the market, streets, architecture, etc. We always stayed ahead of the curve by setting trends and making sure our clients were always protected and buying smart. We were building a powerhouse team and we grew incredibly quickly. By year three, we had sold over $100 million. Fast-forward to today, we’ve built Williams & Williams Estates from the ground up – we are at more than $4 billion in sales and are branching out to different facets within the industry like development and design. For a decade, we’ve been advisors to clients to help them to make millions of dollars and protect their number one asset – their home. Q: You’ve brokered record-setting deals and regularly work with high-profile figures. What personal and professional attributes have enabled you to accumulate and retain such impressive clientele and be involved in 8- and 9-figure deals? BW: There is a reason why my partner, Rayni, and myself close multiple high-end sales every year. We have become specialists in high-end luxury real estate and understand everything about what is going on in the market. We’ve figured out how to position ourselves as the middlemen to broker these deals. However, being a successful agent entails more than just sales. The more high-end deals you are a part of, the more responsibilities you take on. You need to be able to solve issues and problems, and overcome high-pressure situations. You need to have the right contacts – architects, handymen, landscapers, etc. More than just being organized and in-touch, our energy and ambition have not gone unnoticed by our peers and our clients, which has led to referrals of impressive clientele. RW: We’re competitive strategists who love making our clients happy, and we’re married so our table talk is usually about clients’ deals and how to best serve their interests; even our 3-year-old is using industry lingo now. Q: A property that we featured previously and one which has received a lot of attention is 924 Bel Air Road. At $250 million, what is the profile of the client who will buy this home? BW: 924 Bel Air Road is such a unique and spectacular property. You truly must experience the home to understand it – there is nothing else like it on the market. We foresee the buyer as a well-traveled couple that owns several homes and wants to expand their real estate portfolio with the best modern home in the most exclusive neighborhood in all of Los Angeles. Q: How have international buyers transformed LA real estate? Where do you see most international clients coming from? BW: International buyers have transformed Los Angeles real estate by driving the market and allowing LA to compare to cities like New York, London and Miami. Chock-full of fashion, entertainment and unique dining experiences, Los Angeles is an exciting city with perfect weather attracting buyers from the UK, China, the Middle East, and many other countries. The diversity and culture creates a fusion of interesting people that now call LA home because of the incredible lifestyle offered. Q: Featured in this issue of DREAMS is a property you are listing, The Stanley House; a home with extraordinary creative design and a prestigious location. How do both elements impact the way you will market and sell the home? BW: Not only are we the listing agents for The Stanley House, but we’re also the developers. We spent many months searching for the perfect location and became the visionaries behind the overall style and vibe. We helped create what we think is the dream team for The Stanley House with our two partners Jason Somers of Crest Real Estate and Matt Lyons of Lyons Development, along with XTEN Architecture and Lenny Kravitz of Kravitz Design. With The Stanley House, we wanted to create something vastly different then all the other modern LA spec homes. First, we had to find a piece of land that was not too far up in the hills, right off the Sunset Strip, with an unobstructed 270° promontory view from downtown to the ocean. This alone was almost next to impossible, but once we discovered the lot, we knew we could create something unique. We wanted to create our own island on this promontory and have a destination feel with Brazilian and Hawaiian mid-century modern influences. The home had to have the latest and greatest amenities, such as the $1.5 million A/V & CAT audio systems, 12,000 lb. granite rock fire features, radiant heated floors throughout the entire property and the best automated door system by VITROCSA that no developer would dare to use because of the cost. Not to mention your very own nightclub that overlooks the legendary Sunset Strip. The most important aspect was to create a property with soul and vibe. We wanted to create history and that’s why we worked with none other than Lenny Kravitz and his firm, Kravitz Design, to achieve all of this. RW: To market a property as special as this, it’s essential to get beautiful photography. We worked hand-in-hand with our photographer to ensure we captured the essence and vibe of The Stanley House. We hosted multiple shoots, day and night, to tell the story of every room in the house. The location is everything and when you’re selling a house this unique off the Sunset Strip in the legendary Hollywood Hills, your job becomes that much easier. We are surrounded by the titans of the industry and with the expansive views found in virtually every room, we have the recipe for another record-breaking sale. Q: Looking to 2018 and beyond, what do you see on the horizon for the luxury real estate market and your careers? 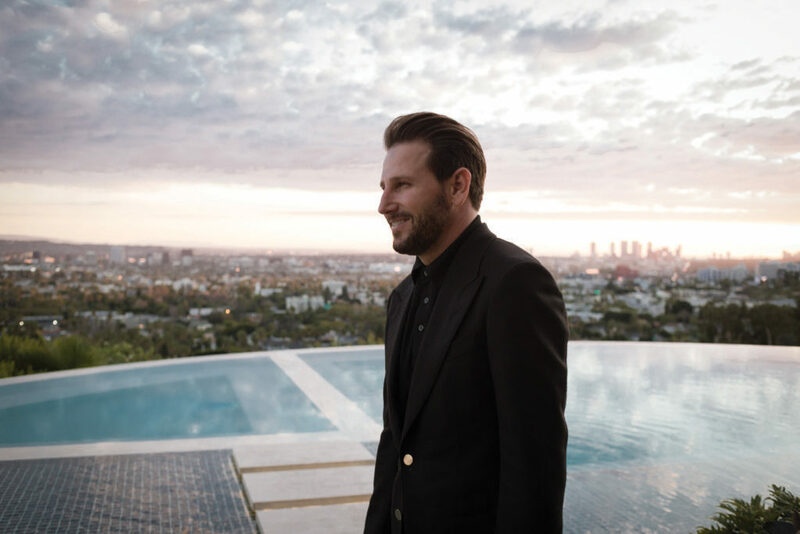 RW: We believe Los Angeles real estate is going to continue to move into the future of innovating living and lifestyle while still paying homage to the city’s history and essence of architecture. We love being part of the entire process and our goal for 2018 is to continue breaking records and setting trends. BW: We’d also like to explore more development opportunities. If we can begin at conception of the development process by finding the right property and having our hand in creating the overall look and vibe, the result will be a major success. People from all over the world come to Los Angeles to make their dreams a reality, and we like to think we help those people achieve their dreams. For more please visit www.thewilliamsestates.com.